Giggleswick is fully jointed and has the flat paw pads so is able to stand unaided. He is a gorgeous combination of spotlight white and deep grey tipped plush. Along with his additional facial sculpturing he has the classic panda teardrop markings and our signature “who me?” look. 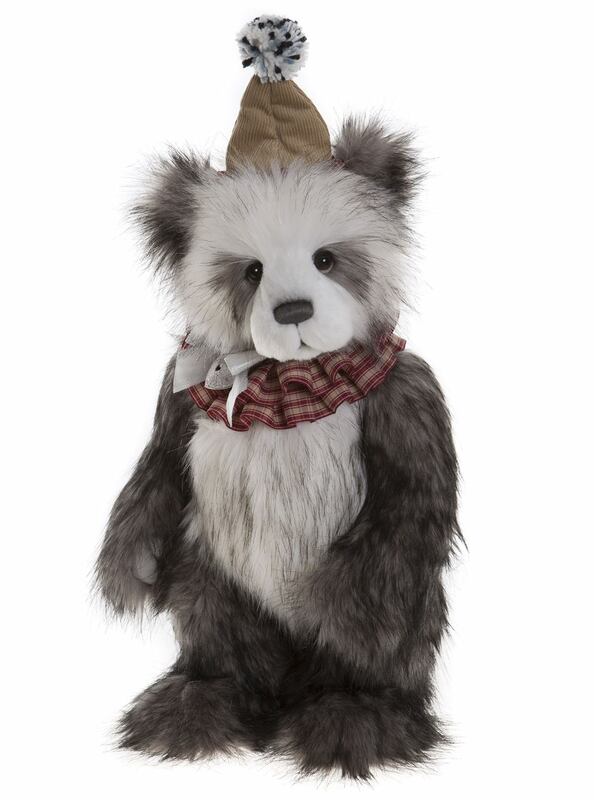 He has a bold grey handstitched nose and a clown ruff collar and corduroy pompom clown hat as his accessories.